Traumatic brain injury is caused by sudden forceful damage to the brain. It can happen from the head hitting another hard object such as a windshield (closed head injury) or from something breaking through the skull and entering the brain such as a bullet or a nail. The most common cause of traumatic brain injury results from motor vehicle accidents, but they are also seen in sports injuries, construction site injuries, falls, fights and from shaken baby syndrome. The extent of mental decline, physical or behavioral changes depend on how severe the injury was and what areas of the brain were affected. Closed head injuries are known to cause problems with speech, voice patterns, language skills, the ability to swallow, walking, coordination, memory, the sense of smell and the ability to think quickly. Commonly the worst traumatic brain injury symptoms occur shortly following the injury and it usually gets better. However, long-term or permanent problems can result. And while other areas of the brain tend to learn and take over some of the functions of the damaged portion of the brain over time, a traumatic brain injury may result in the person being unable to function well enough to return to their usual activities or employment. If another person's negligence caused a traumatic brain injury, you may be entitled to money damages. To protect your legal rights after suffering a traumatic brain injury, you should consult Willoughby Brod, LLP. We are experienced in handling head injury cases and knowledgeable about medical issues. Traumatic brain injury cases are complex medical cases. At Willoughby Brod, LLP, our attorneys have a proven track record litigating traumatic brain injury cases. 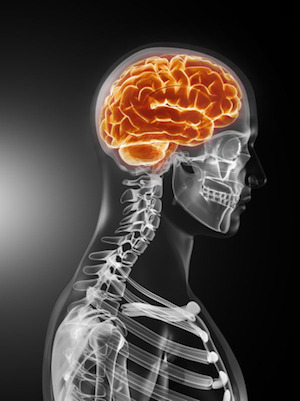 Our attorneys understand the effects of traumatic head injuries and the medicine involved. Let our attorneys provide you expert representation. Yes. While Willoughby Brod, LLP is an Oakland traumatic brain injury attorney firm, we have offices in Southern California and represent clients throughout the state. Contact Willoughby Brod, LLP for a FREE case evaluation about any type of medical negligence claim, wrongful death or personal injury claim. Do not hesitate to contact us with any questions or concerns if you or a loved one has been injured. You can call our law office in downtown Oakland at (800) 427-7020 or send an email. No fee unless we provide results. Remember, the sooner you begin this process, the sooner your life will return to normal.